Now you might wonder what is so dangerous on violating section 4.1.3 of the spec? 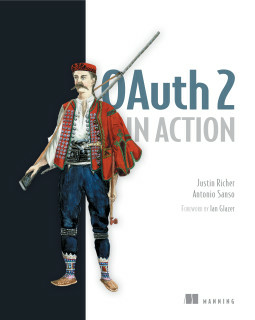 Hopefully this thread in the OAuth ietf mailing list will convince you that this can actually be 'dangerous' . Indeed, when Google tried to 'fix' their implementation (after my report) introducing section 4.1.3 I have noticed an interesting behavior of their token endpoint and as turned out I could exploit it. Indeed while not accepting the authorization code twice the were a bit too verbose on the error message :). This alone would not be enough to actually exploit it but the token endpoint of Google has an "interesting" behavior. Indeed the authorization code is on the form TOKEN1.TOKEN2 and only TOKEN1 is validated!!! As said this is going to be a valid authorization code and the access token is received due the fact that the authorization code is of the form TOKEN1.TOKEN2 and only TOKEN1 is validated!!!!! as you can see the output is not sanitized specifically the part 4/ShttLZGi8w7b0MF5iRsdKBkaBB-6.Qrl8jChpba4TYKs_1NgQtmW51KPvhgI<script>alert('hello')</script> is bounced back without any ouptut sanitization. Nice catch! I’ve filed a bug asking that HTML special characters be escaped in the JOSN output. I filed this at moderate severity as I don't believe this is exploitable on recent browsers. The response is returned with content type set to application/json and the header X-Content-Type-Options: nosniff is present, which should prevent the browser from interpreting the result as HTML.